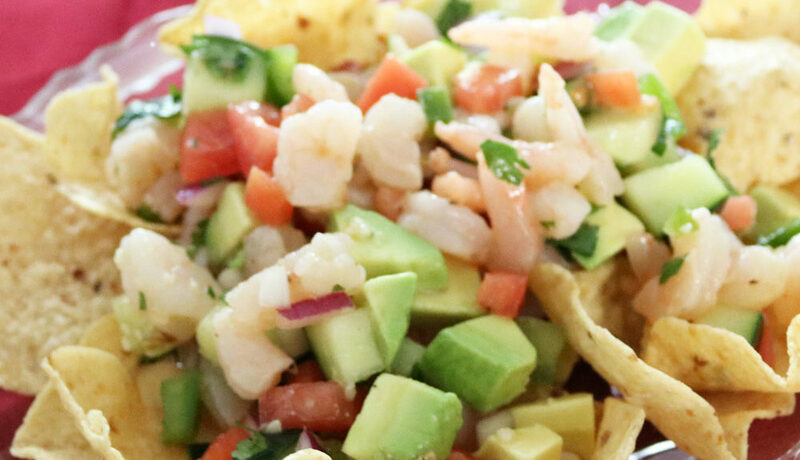 This shrimp ceviche recipe is easy to make and full of flavor! With all fresh ingredients and it’s colorful appearance, it is always a crowd favorite! I love Ceviche! Whenever dining at Mexican Restaurants, I love to try their different versions. 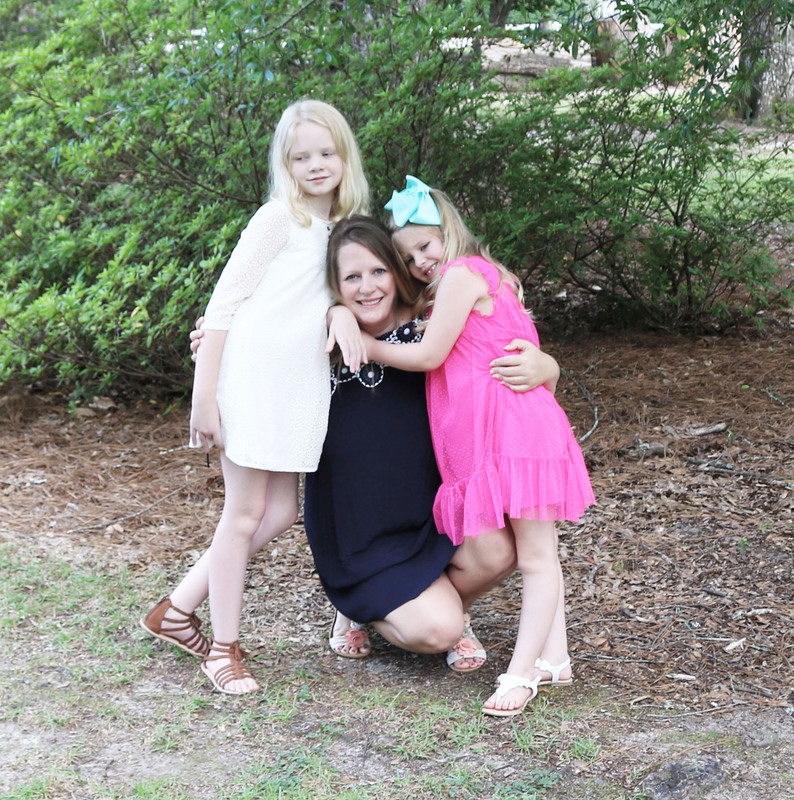 With Cinco De Mayo just around the corner, I thought this would be a perfect time to share one of my favorite Shrimp Ceviche Recipes! 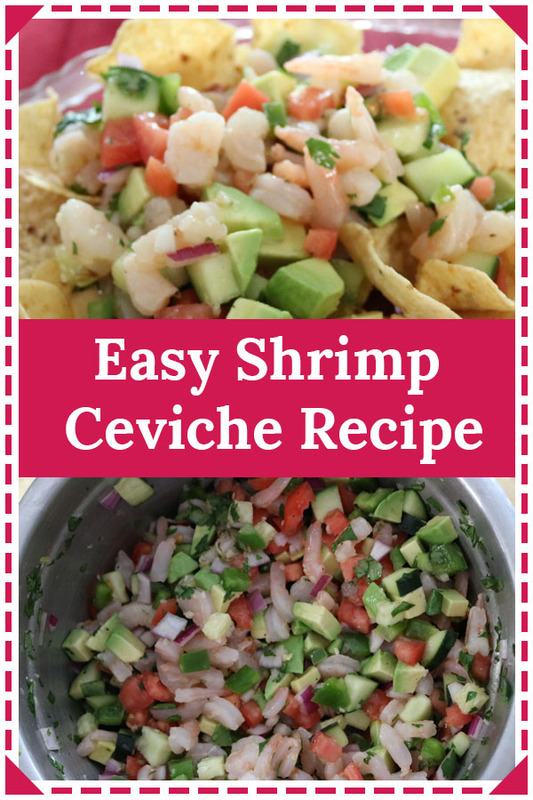 I love that this Shrimp Ceviche recipe is both easy to make and delicious! Plus, all the ingredients in this Shrimp Ceviche are so good for you! It’s fresh and it’s colorful! 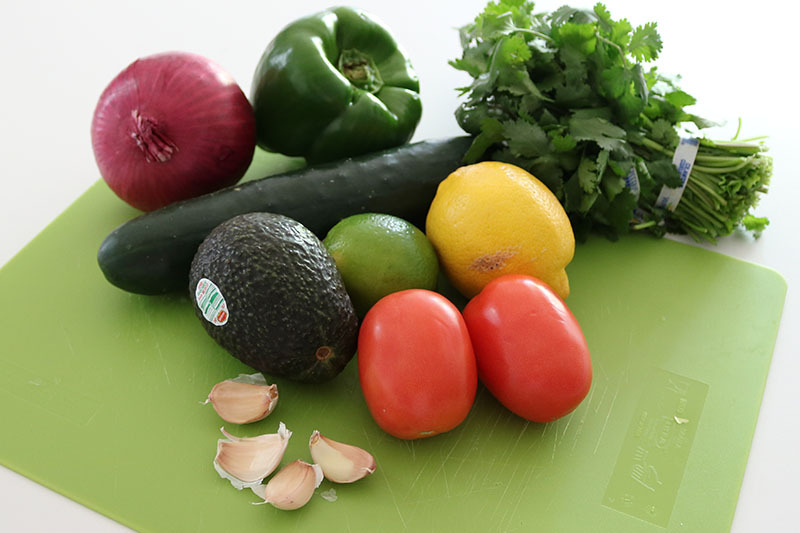 First, dice your onion, green pepper, cucumber and tomatoes and add to a bowl. You’ll want to dice these as close to the same size as possible. 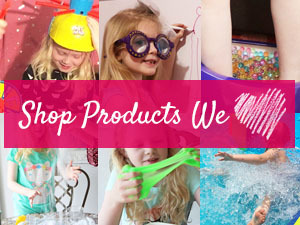 A food chopper is perfect for this if you have one, for both accuracy and time efficient! Next, using a garlic press, press your garlic into the mixture with the diced vegetables. Chop your cilantro and add to the bowl. Squeeze the juice from your lime and the juice from half a lemon into the bowl. Then chop up your already cooked shrimp and add to the bowl. Add salt and pepper to taste and stir well. Last, chop your avocado and stir into the mixture. I always add the avocado last so it doesn’t get mushy. 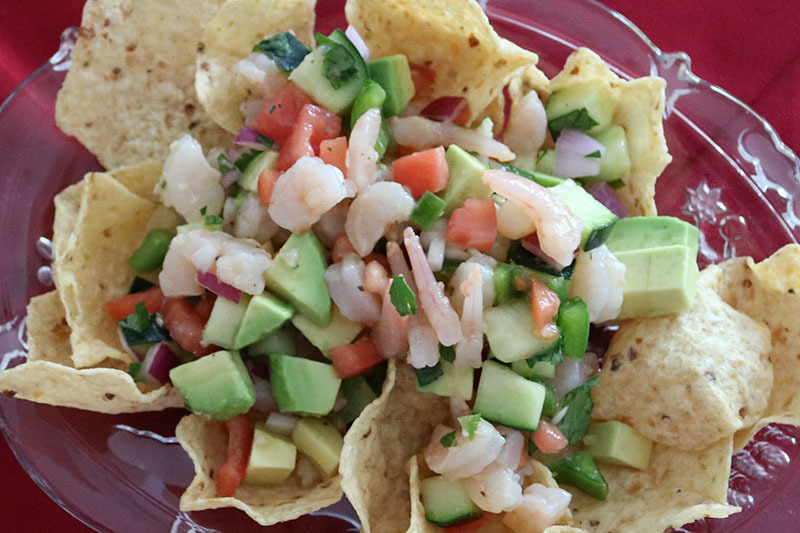 This Shrimp Ceviche recipe makes a perfect dip when served with chips. It also makes a great filling for tacos. I love to eat it over lettuce for a salad or over my favorite Restaurant Style Mexican Rice Recipe. 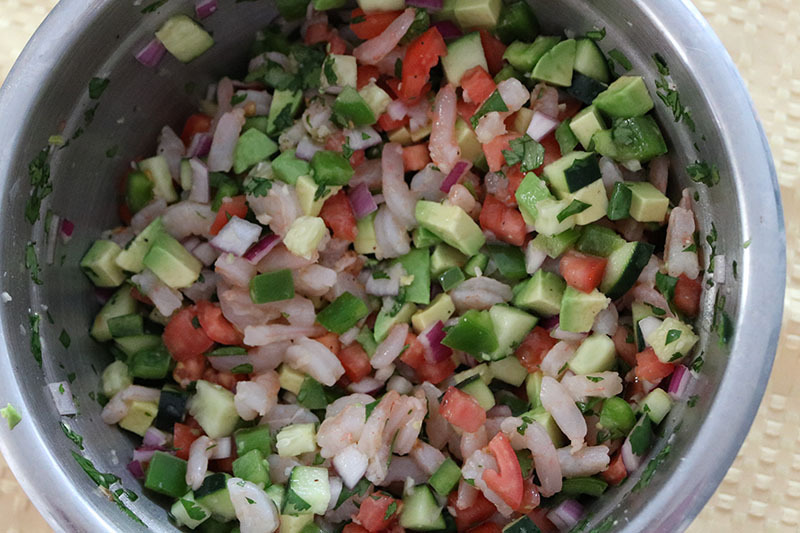 This shrimp ceviche recipe is easy and full of flavor! Made from fresh and colorful ingredients, it's always a crowd favorite! Evenly dice the roma tomatoes, cucumber, green pepper and red onion and mix in a bowl. Chop shrimp and add to bowl with the veggies and mix together. Add minced garlic, lemon juice, lime juice and salt & Pepper. Mix well. Dice avocado and gently mix in. Find other great recipes and ideas for Cinco De Mayo here. 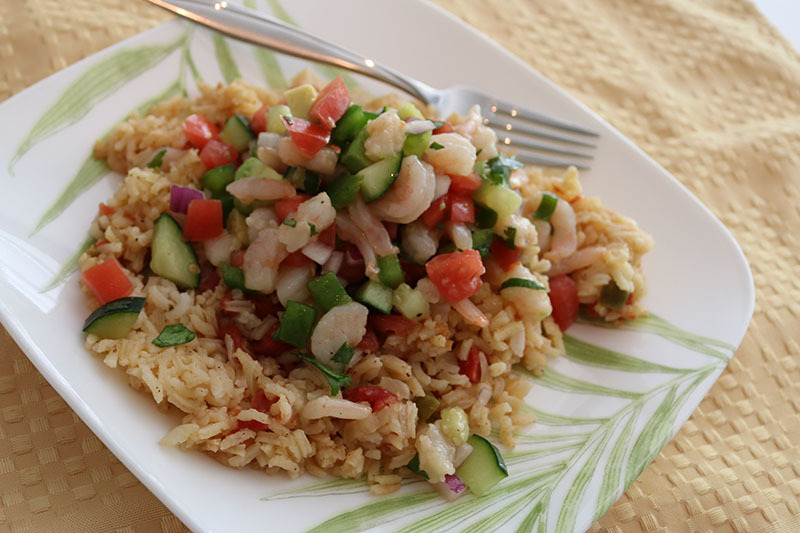 It sounds like Shrimp Ceviche recipe is easy to make and delicious! How nice that all the ingredients are good for you! ooh I really want to try out this recipe! 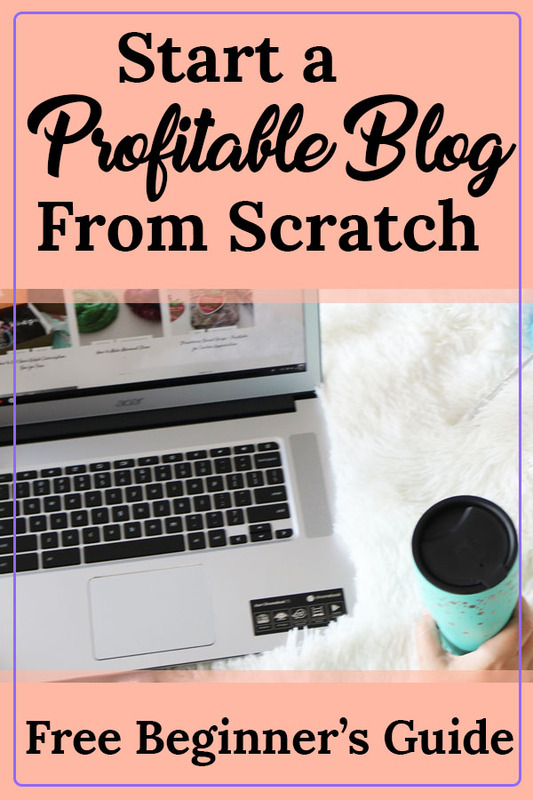 Honestly I learned about it now but seems like a very simple recipe. Looks delicious and easy to make. Happy Cinco! This looks so delicious. 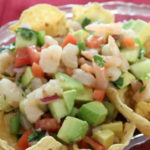 My husband loves ceviche and I love shrimp, and now I’m craving this especially from looking at those pictures!!! This ceviche looks so yummy and refreshing! Will definitely try it as soon as it warms up here!